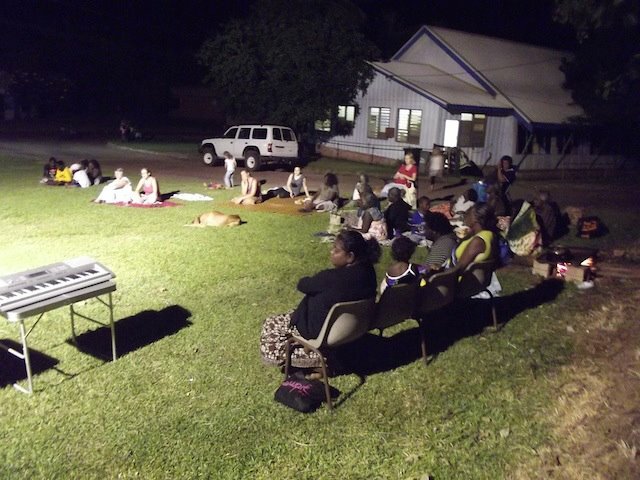 The BibleBox is being used by MAF (Mission Aviation Fellowship) in kits they place with isolated communities across Arnhem Land north Australia. 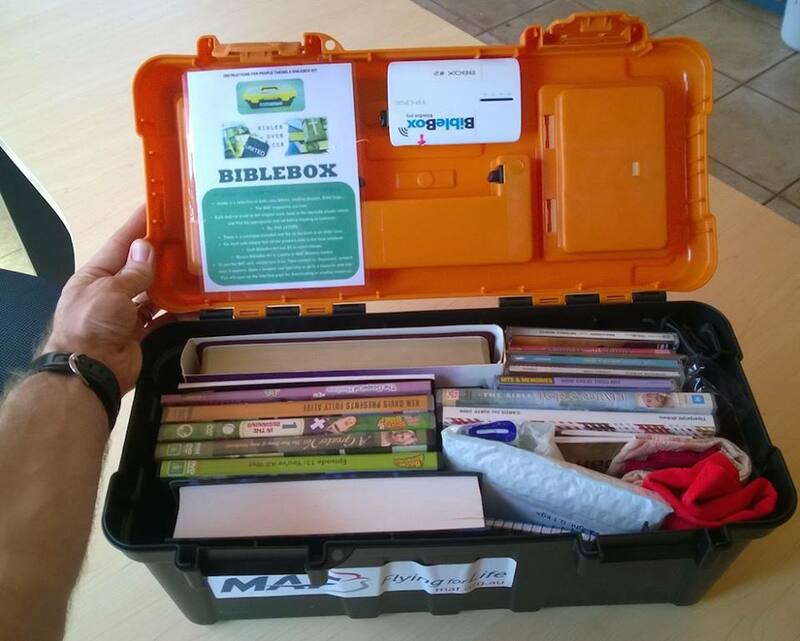 DVDs, CDs, Bibles and the electronic wifi BibleBox are gathered into one plastic toolbox and sent to isolated communities such as Numbulwar, Gurrumurru and Bremmer. These Bible kits provide opportunities for local people to purchase gospel material or download free digital resources and and access a wifi Bible from the BibleBox, on a wifi enabled device such as a phone, tablet or laptop. 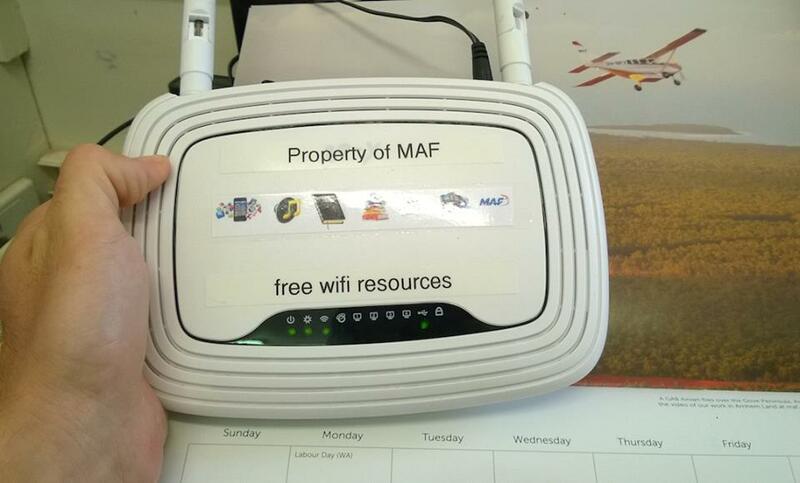 MAF Technology Services has also setup a wifi router (above) at the local Yirrkala Aboriginal Church. This router means that people can connect via WIFI to view and download Gospel resources. This latest edition has the ability for people to view the words in Yolngu Matha for some of the songs that are sung on Sundays. Setup on a TP Link WR842ND the router is available 24/7 running off mains electricity at a fixed location, providing access to these resources at a known location for locals. Remember these isolated communities dont have Christian bookshops, they dont have internet access – so by providing access to resources like these that we can take for granted in Australia is a fantastic support by MAF.